간이벽온방은 조선 중종 때 의관 박순몽, 박세거 등이 임금의 명에 의해 온역(瘟疫:전염병)치료에 대한 약방문을 모아 엮은 의학서적이다. 중종 19년(1524) 가을에 평안도 전지역에 여역(전염성 열병)이 번지자 치료에 필요한 약방문을 책으로 엮어 한글로 번역하여 중종 20년(1525)에 널리 보급하였다. 그러나 현재 초간본은 전하여지지 않고 선조 11년(1578)의 을해자와, 광해군 5년(1613)에 훈련도감자로 발행한 중간본이 전한다. 이 책은 선조 11년(1578)의 중간본으로서 방점이 없는 16세기 국어연구 자료일뿐만 아니라 의학사 연구자료로 그 가치가 있다. This medicine book is a collection of prescriptions for infectious diseases. 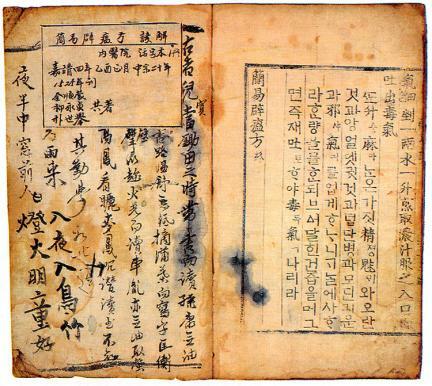 At King Jungjong’s order, it was compiled by medical officials Bak Sun-mong and Bak Se-geo. 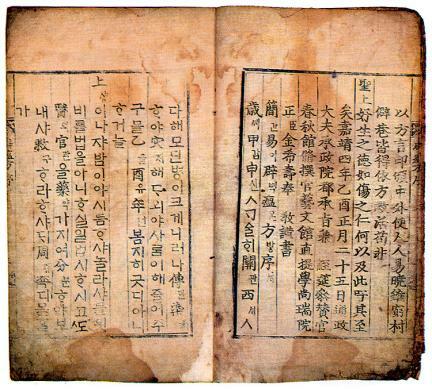 In autumn of the 19th year of King Jungjong’s reign (1524), when infectious diseases spread over the entire area of Pyeongan-do, the government compiled the prescriptions for fever into a book and translated them into Hangeul (Korean language), and then distributed the book to the people in the 20th year of King Jungjong’s reign (1525). Today, however, the original copy is gone. 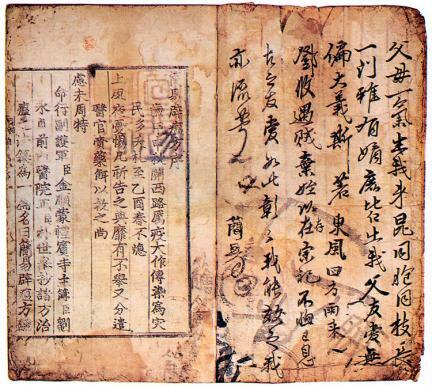 Only the copies published with the Eulhae-ja typeset in the 11th year of King Seonjo’s reign (1578) and with the Hullyeondogam-ja typeset in the 5th year of King Gwanghaegun’s reign (1613) remain. 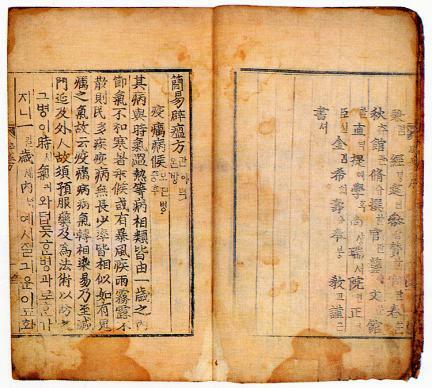 As a copy printed in the 11th year of King Seonjo’s reign (1578), this book is valuable in studying the Korean language, which lacked side dots in the 16th century, and in investigating the history of Korean medicine.